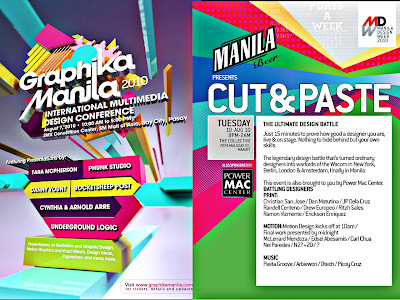 aug.7 - Graphika Manila - cant be with Tara McPherson this year! one of their Boutiques but i forgot the Mall name! c".? i like the awareness of designers that share as one, to inspire! Tubod Fest and other designers on POP, SORE & Visual Conferences! and more! i dunno this year 2010 in Cebu! murag ni mingaw man! !